Welcome to the Especially 4 Pets Daycare! Did you know that there are very few dogs out there that understand how to bond and create a good rapport with all other dogs they meet?? They need to learn the skills to keep themselves out of fights and to be generally good with any dog you place them with. Our daycare system is designed specifically to teach your dog these social skills that can help you develop your pup into one of these rare superstars. What would it be like if you were able to take your dog to the off leash park confident that he's developed enough social skills that, even if he ran into another dog that was socially inappropriate with him, he would know how to calm the other dog down, diffuse the situation, and walk away from a potential fight? How much peace of mind would that create for you? This is possible, especially under someone who is well versed in dog body language and dog psychology and who has a mindful and systematic approach to help you achieve those goals. Our daycare facility boasts a modest but very effective learning centre. Your dog will get to enjoy a 1000 square foot play room where he will learn to hone his social skills with other dogs through a structured play environment. Our set up allows us to separate our pack into strategized play groups to help build your dog's social skills no matter his or her temperament. Here at Especially 4 Pets, we monitor your dog’s social skill growth and development carefully and adjust their assigned playgroups as they mature to help them continue to develop their social skills with a wide variety of temperaments of dogs in a safe and fun environment. When a playgroup is out that your dog is not assigned to, he has an opportunity to rest in one of our kennels or playpens before the next session starts. This is an important feature of our daycare as we can help to teach and reinforce rest periods throughout play - something that socially savvy dogs instinctively know how to do on their own to keep the energy peaceful in the pack. Well rested dogs tend to play just as enthusiastically thorughout each play period as when they first arrive in the morning. This means that they are burning more energy thorughout the day and, as a result, we send your dog home much more tired, allowing you to enjoy a nice and relaxing evening with with your pet. Twice a day, your dog will be taken for a brief walk outside to have a chance to relieve himself and have a few minutes of fresh air before going back for more playtime. We also keep detailed notes on your dog's progress so that we are always on top of any changes in their behavior or health status and work with you to deliver the best care for them as efficiently and as effectively as possible. Our convenient drop in/drop off hours make checking your pet into our daycare nice and easy and our convenient location is just minutes from the downtown core of Calgary. Interested in more details about our service? Please feel free to call us and ask any questions you may have! We look forward to meeting you and your dog! Suzanne Tam, BSc. Has been an active member of the dog training community for the last 22 years. 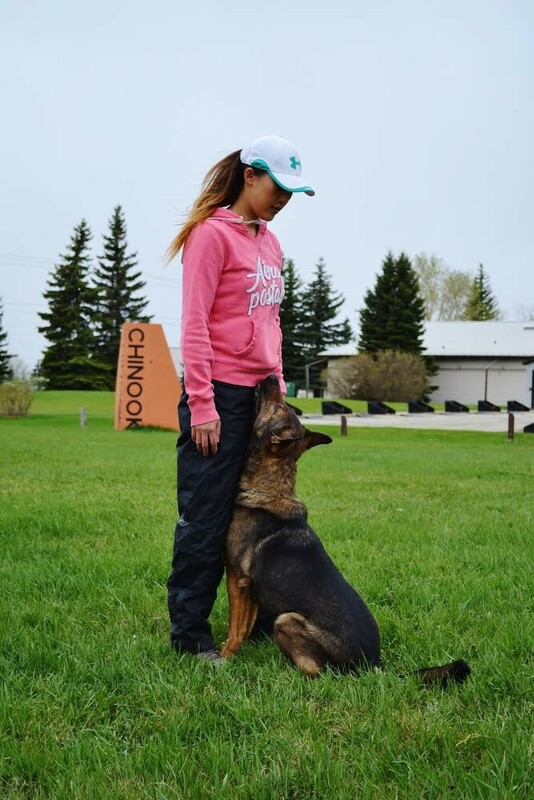 She graduated from both the University of Alberta in 2015 with a major in Animal Sciences, and from the Triple Crown Dog Academy in the same year, earning her certification as a Canine Behavior and Training Specialist. In her 22 year career, Suzanne has gained work experience in working and volunteering in various parts of the pet industry, including vet assistance in emergency clinics, volunteering for various rescues and shelters, and working in various dog daycares and dog boarding kennels. In 2006, Suzanne launched her own company, Metropawlitan Dog Training, where she has successfully trained over 700 dog owners how to train their dogs and more importantly, how to integrate that training into their every day lives with lasting results. Through the success of her students, Metropawlitan Dog Training is currently recommended by multi vet clinics, pet stores, and boarding kennels across the city of Calgary. Her balanced approach has led her to join the Especially 4 Pets team in 2009 and establish a dog daycare system that reflects exactly what she teaches in her classes about dog handling and dog care. Her goal for the daycare program has always been to teach her charges proper social etiquette so that her clients, no matter where they take their dogs in the future, will be confident that their dogs understand how to adapt their behavior according to whatever temperament of dog they meet. Suzanne is also an active member of the German Shepherd Schutzhund Club of Canada and has served as a board member for both the Chinook Schutzhund Club of Alberta and is presently actively serving as a board member of the Sturgeon Schutzhund Club. Suzanne has won multiple high in obedience awards in a variety of competitive obedience sports with multiple breeds of dogs. Suzanne has also successfully coached her competitive obedience students to the same success with their own dogs as well. Currently, Suzanne is training her new German Shepherd puppy with the intention of competing at the world levels in sport of IPO in a few years time.